Recommended to support healthy joint function in dogs. 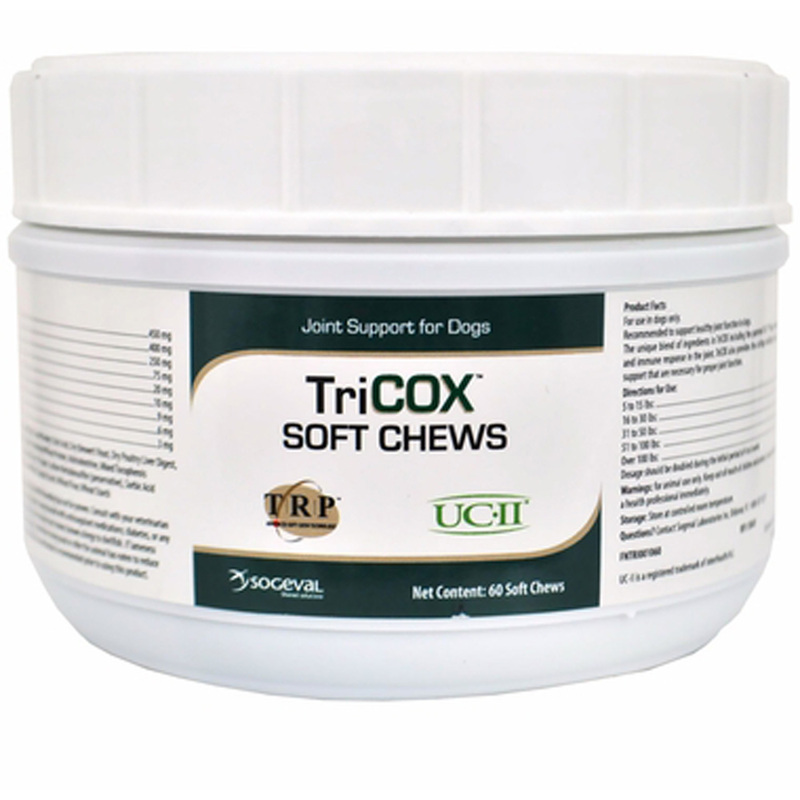 The unique blend of ingredients in TriCOX™ including the patented UC-II® helps maintain normal inflammatory and immune response in the joint. TriCOX also provides the cartilage building blocks, antioxidants and muscle support that are necessary for proper joint function.